Our public libraries are a treasure. I know of no free resources other than public education and the internet which have done more to disseminate knowledge than public libraries. Some of the most famous are the Carnegie libraries. When the last one was built in 1919, half of all the libraries in the United States were Carnegie libraries. His theory was that societies were better if they were based on merit, not entitlement. And knowledge is key to merit. 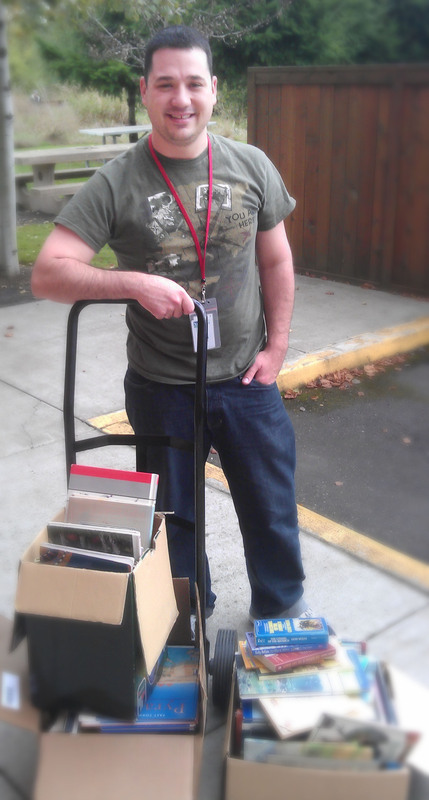 Today, I made a large-to-us donation of books to the Tigard Public Library and met Stephen, one of their librarians. Stephen has been at the library for about four years and was telling me some of the good that comes from the donated books. The donated books are perused by library staff for anything that can be added to the general collection for use by the public. Any leftover books are put up for sale by the non-profit group, Friends of Tigard Library. Those books are sold and the proceeds are received by the non-profit. The library then requests and is usually granted, funds for library programs such as visiting authors, children’s and community involvement programs. I was surprised to hear Stephen tell me that nearly all the programs the library presents are supported by these funds. Stephen agreed with me that not only are these programs a valuable community resource, but the library itself continues to serve the public. Even in the face of online reader tablets, a large segment of the public in Tigard visits the library and uses it’s services. Whether it is the children’s library, the free internet, bi-lingual resources, or just a helpful librarian, people get more value out of our library than we pay in taxes. That’s a good investment. Like Georg Lichtenburg wrote, reading is to borrow. Donating our books to our local library is just one way we can repay our debt. Donated books to the Tigard Public Library for the second time this year, books that will be turned into programs to keep this local treasure rich. This entry was posted in In the community and tagged carnegie libraries, community involvement programs, donating books, libraries, paying off debt, reading, tigard library. Bookmark the permalink.